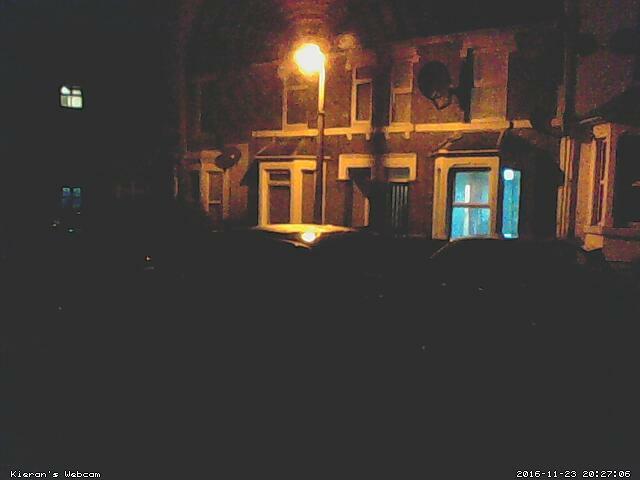 When I was at university I installed a webcam in the kitchen of a shared house I was living in. Aside from capturing those hilarious drunken student moments it also served as a useful tool for finding out who was finishing all the milk. Nowadays it’s relegated to recording events on my parent’s garden path (no decent view in London!) and its only recent claim to fame is that it’s caught numerous individuals in the act putting leaflets through the door in clear defiance of the “No Leaflets” sign that is in place above the letterbox.